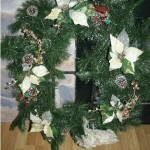 16 hand crafted wreath holders / stands are available! These metal stands are sturdy and will easily hold Small to Large Wreaths or other memorabilia and are perfect to place alongside a gravestone in the cemetery, in a memorial garden, or in your yard. 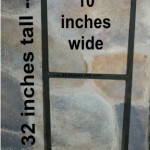 They measure approximately 10 inches wide and 32 inches tall. The pointed tips make insertion into the ground easy. 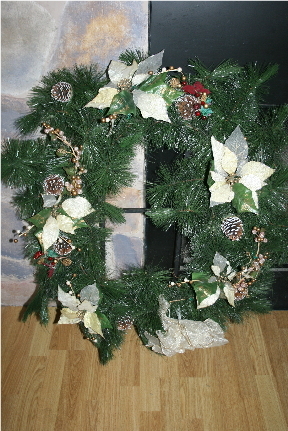 Those making a tax deductible donation to our The Compassionate Friends East Of The Chapter of $20.00 or more will receive a wreath stand as a Thank You and way to share the holidays with your Loved One. Arrange for delivery in person. Stands will be available at Thursday’s Meeting, December 15, 2011. Phone Dave at 860-428-9377 to make other arrangements. Can’t make the December 15 meeting?